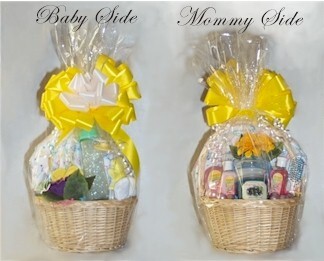 This wonderful combination basket makes a great gift for the new Mom. On one side lovely and useful things for the new baby. On the other side soothing bath and body items to help Mom relax.